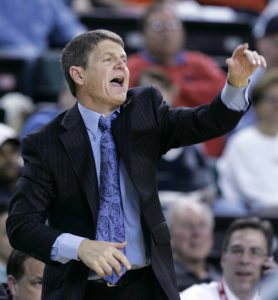 Bobby Lutz, former point guard at Bandys High and ex-head coach at Charlotte, is returning to college basketball as a special assistant at Nebraska. The Lincoln (Neb.) Journal Star, after reporting Lutz was under consideration, published a sourced story on Wednesday saying Lutz has accepted a coaching position with the Huskers. In the most recent contact by HobbsDailyReport.com this week with Lutz, he said he was in Nebraska but declined further comment. Lutz, 61, is a 1976 graduate of Bandys and his coaching experience includes tenures as a girls’ varsity head coach at Parkwood — where he won a state 2A title — and as head boys’ varsity head coach at Bunker Hill. He left Bunker Hill after the 1983-84 season, when the Bears went 18-7 in his only year there, to enter college coaching at Clemson.